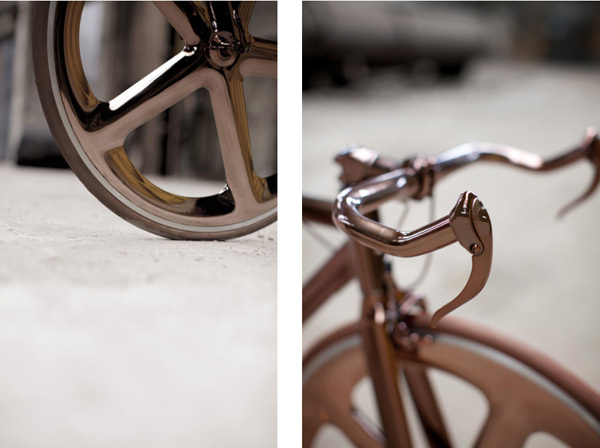 Produced as a limited edition offering, Peugeot presents their latest bicycle concept with the DL121. For over 200 years the French brand has created an array of products that are as countless as they are diverse. This latest project is a research exercise in graphics, materials, and colors that renders the bike on the frontier between art and function. 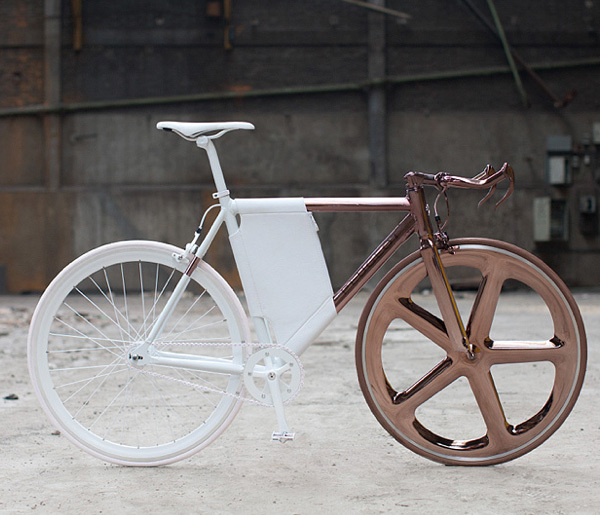 An exploration in the contrast, the design plays on the theme of a diagonal separation between the deep rich copper front and the vivid white rear of the bicycle. To top off the brilliance of this bike, the DL121 features innovative leatherwork not only in the saddle of the bike, but also in its luggage area that is inventively integrated into the frame. 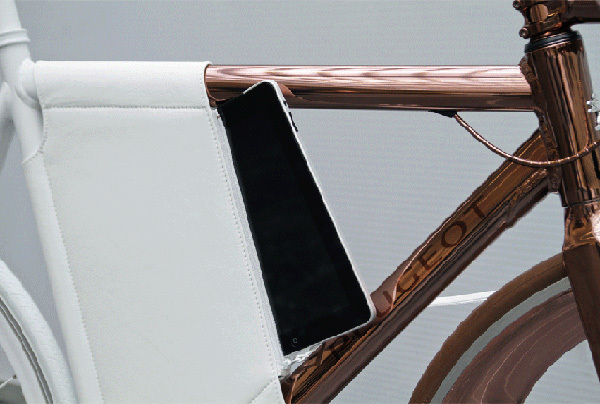 With double zips that allow for easy access, this futuristic bike has space ideal for holding technology such as an iPad or laptop. Hi there! I just would like to offer you a huge thumbs up for the excellent info you have got right here on this post.